A north-east volunteer is urging others to come forward and help make a difference in troubled youngsters’ lives. Tommy Thomson, 30, has been a member of the children’s panel for seven years, balancing it alongside his work in healthcare in Aberdeen. The panel, run by Children’s Hearings Scotland (CHS) since 2013, is an alternative to the courts for youngsters who have committed crimes. It is made up of members of the public and has the same powers as a sheriff but is designed to help children who may find themselves in trouble due to difficulties in their own lives. 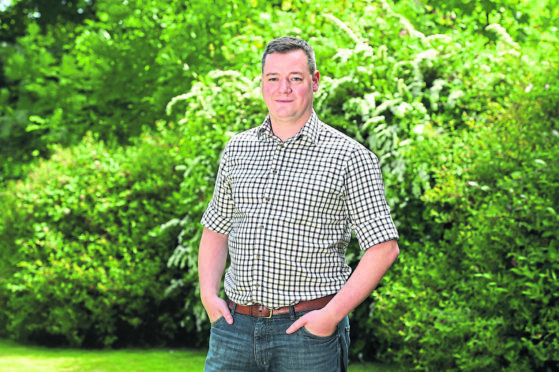 Mr Thomson, from Aboyne, was inspired to sign up while he was helping out as a child befriender. Now he has become a panel practice advisor who helps with the ongoing training of panel members. He said being a volunteer was a rewarding experience and had changed his perception of the work the hearing system does. “I think before I joined I thought it was all middle-aged women who were there just because they liked the power,” he said. “But what I found is that there are people from all different backgrounds who are not there to stroke their own egos. “It’s quite intensive if you put your time into it. They have to make difficult decisions and they have to make them in front of people who won’t necessarily like those decisions, which is something we provide training for. There are currently three hearing centres in the north-east in Aberdeen, Fraserburgh and Elgin. CHS is currently looking to recruit about 450 new members to the panel, on top of an existing 2,500 across Scotland. Mr Thomson, who gives about 10 hours a month to the service, added: “I’ve learned new skills in managing meetings, how to have constructive conversations with people right down to meeting new friends.